Have you ever heard the saying, buy it cheap, buy it twice? My mum mentioned it the other day, though I can’t remember the exact context. It seems like such a simple and obvious concept. Why would you do it cheap only to have to pay to fix it later? Why would you purchase something that wears out only to have to purchase a replacement? There’s a time to be lean, work with the resources you have, and get something to “good enough”. But at some point, good won’t be enough. Yesterday I did a homepage audit with a startup. It was a two person team and they had done the homepage themselves — text, design, coding, everything. All the information was there. The call to action was there. The intake form worked. 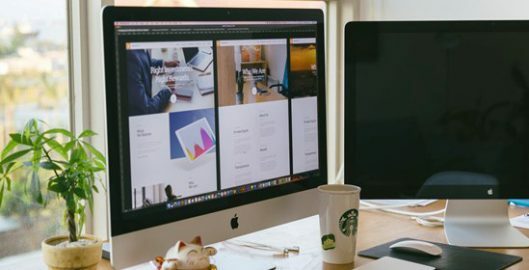 But, the homepage wasn’t optimized in a way to tell the story of the product, to have a hook that gets someone’s attention, to create urgency, and to demonstrate the transformation the product will create, the before and after. In other words, the homepage functioned, but it didn’t flow. Imagine you’re doing a kitchen renovation. Sure, anyone can go into IKEA and design a kitchen and have it be functional. Stove, fridge, sink, dishwasher – check. Good counter height, check. But without an expert, it likely won’t flow. An expert would consider all the tiny details. For example, if there’s an island, is the space between the island and the counter wide enough that two people can work or walk by each other, but not too wide that you can’t reach from the counter to the island? It’s expensive to find these details out after it’s all built. Do it cheap, do it twice. At some point, you have to grow up & invest in your product. Has your team ever built something cheap, only to build it again later? Does your team have something that functions, but doesn’t flow? The “why”. A user must understand why they would use the product. The intended user. A user must be able to imagine themselves using the product. This could be through visuals, or text. The product promise. By promise, I mean outcome. The result of using the product. Sometimes it’s helpful to show a before and after too. Trust or proof. Why should people trust your product? Does your product have certifications, safety standards, customer reviews, testimonials, or press? Build trust. The call to action. I read good sales advice, ‘you have to ask for the sell’. Don’t sound desperate. Don’t sound like a slime-ball. Just ask. But don’t have a form that’s 5 pages long. Find the balance. The human factor. Sound like a person. Read the text on the page out loud. Does it sound like you’re having a conversation? Or does it sound like you’re reading a textbook? I wanted to give you some guidance so that you could take a look at your homepage or a landing page and think beyond the function and consider the flow. I have a few slots this month for my Product UX Audit service. If you want a second set of eyes to help your product move from just being functional to having a UX that flows and that converts, then this is for you. In a Product Audit, I will evaluate 5 key screens of your product experience and give you a detailed set of actionable quick fixes you can make, UX recommendations, and ideas for A/B tests you can set up. Pricing starts at $1,995 depending on how many screens are evaluated and the complexity of the product. If you want me to do a Product UX Audit, then fill out this form to get started.